Join the worldwide Church of God of Prophecy on a quest, a Quest for Holiness! 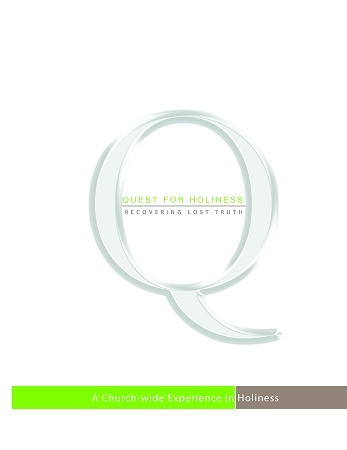 The Quest for Holiness curriculum is a 5-week study that will be undertaken by the entire Church of God of Prophecy in September 2013. It includes sermon outlines and lessons for adults, youth and children and was written by the leadership in the the Church of God of Prophecy.